Liberian president George Weah. Photo: Getty Images. There were high expectations that Liberia’s president would tackle corruption and boost the economy, but he has struggled with entrenched interests and demands of patronage. 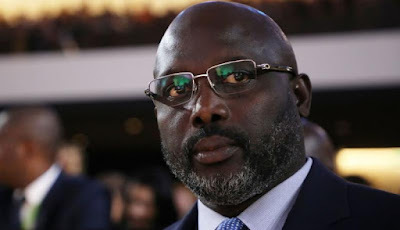 George Weah’s election as president of Liberia in January 2018 was widely hailed as a popular victory over ineffective or corrupt politics and was the first peaceful handover of power since the end of the Liberian civil war. Seen as a victory of the people over a political system viewed as ineffective (at best) or corrupt (at worst), Weah’s election brought with it the high expectations of not just his support base but the country as a whole. However, despite early signs that he would take on bureaucratic excess and corruption, rebuild infrastructure and drive economic development, Weah’s first year in office has been haunted by the old guard of Liberian politics, hampered by limited resources and dogged by controversies over missing money. Continuity seems to be winning out over change. Within hours of taking over the presidency, Weah issued an ultimatum to outgoing government ministers and civil servants: return all government equipment, including cars, or face arrest. Weah himself took a pay cut. The National ID Registry is rolling out biometric cards with an initial focus on government employees in an effort to root out ‘ghost employees’. Such moves were applauded by the media and the public at large and raised hopes of a change in political culture. But his early actions and populist rhetoric are in tension with the realpolitik demands of managing an entrenched political class and a political system designed to defend their privilege. Weah is surrounded by people linked to past corruption and mismanagement, or with ties, directly or indirectly, to key figures in Liberia’s civil war. Prince Johnson, for instance, a former rebel leader and political kingmaker at elections in 2005 and 2011, has reasserted and redefined his influence and power by blocking appointments and insisting on more people from his home county of Nimba being appointed. Weah’s vice president, Jewel Taylor, has links to war criminal and former president Charles Taylor. Such alliances and appointments may be the price of getting anything done, but they also highlight unresolved issues around justice and war crimes, and risk complications in Weah’s relations both with his support base and Liberia’s foreign partners. Unusually for a Liberian head of state, Weah’s first official visit outside Africa was to France, where he made his name as a star footballer, rather than the United States, where there has been rising interest in accountability for Liberian war crimes. Weah’s European links have helped secure a €27 million economic cooperation agreement with the EU, an important early success for his ambitions to lift a million Liberians, about a fifth of the country’s total population, out of poverty within the next five years. Action is essential – half the Liberian population live below the poverty line and the country is falling behind the region on education and infant mortality. But the economy was hurt by the Ebola outbreak and the drop in commodity prices, with growth only beginning to recover in 2017. Foreign aid also began to decline in 2016 with the end of the Ebola crisis, creating foreign exchange and inflationary pressures. Liberia’s infrastructure gap is a further challenge, and one that has confounded successive administrations. According the World Bank, only five per cent of Liberia’s 11,423 kilometres of roads are paved, and many are often impassible in heavy rain. In seeking swift solutions to these challenges, Weah risks repeating the governance failings of prior administrations. In an effort to make quick progress on infrastructure, for instance, the president sought a loan of dubious provenance to finance a coastal highway in the southeast of the country, a region that strongly supported Weah in the election. Newly printed bank notes amounting to $100 million were then reported missing in May 2018. For many the two issues signify that Weah’s government will prove to be no less incompetent and corrupt than the political system over which it claimed victory, a view compounded by frustrations over delays and strict restrictions on cash withdrawals for ordinary Liberians. Weah’s relationship with the Liberian media and civil society has also been tense in his first year. Liberia does not have a whistleblower’s protection law and there have been arrests of government and bank employees who have called for greater transparency. The press union has highlighted a growing environment of intimidation and stifling of the freedom of the press, citing examples of personal attacks on journalists and the closure of the newspaper Front Page and the arrest of its staff. Weah also fired Konah Karmo, head of the secretariat of the Liberia Extractive Industries Transparency Initiative, a key voice for transparency in the country, and appointed a loyalist in his place. Domestic and international criticism is growing. President Weah is a conflicted leader: a man of the people, who identifies with the poorest of his compatriots, but also someone who is accustomed to the trappings of the elite and who has seemed to welcome back a political old-guard mired in past corruption and mismanagement scandals. The real George Weah remains elusive. If the president wishes to be the champion of the poor and to deliver on his big ambitions, he will have to show strength and smarts in managing realpolitik pressures, grit in his anticorruption efforts, charm with donors and patience with the media.